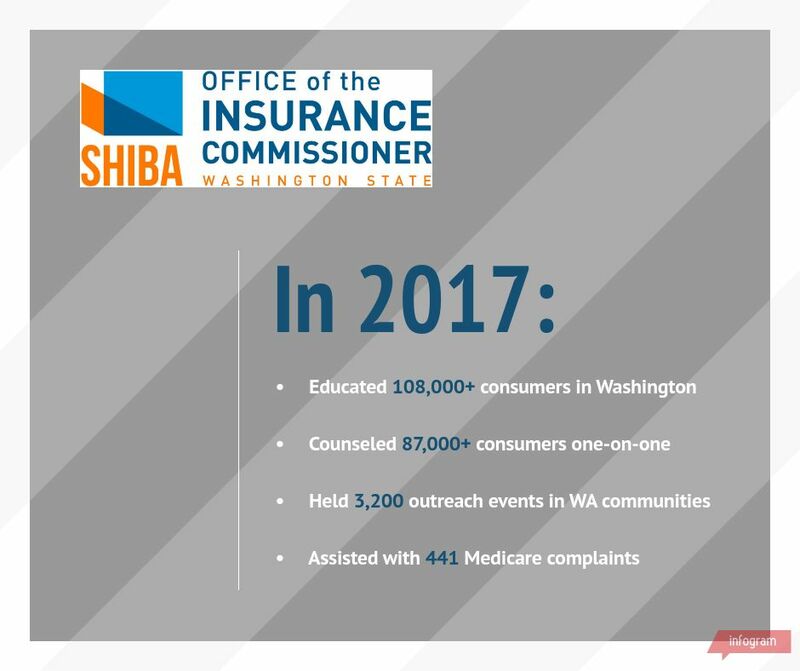 The Office of the Insurance Commissioner oversees Washington’s Statewide Health Insurance Benefits Advisors (SHIBA). SHIBA offers free, unbiased and confidential assistance with Medicare and other health care choices. Understand your Medicare coverage benefits, options and rights. Determine your general eligibility for programs that can help you pay for your Medicare. In 2017, our 400 SHIBA volunteer advisors helped more than 108,000 people understand Medicare. Advisors are available in communities throughout the state; find one near you. For people who are about to turn or recently turned 65, we host Medicare events around the state. You can also find information about Medicare on our website. Are you interested in becoming a SHIBA volunteer? Find out more. Need more help? Call our Insurance Consumer Hotline at 800-562-6900 or find help online.